Would be happy if I can sell before holidays. Interested, where are you based? Interesting timing as there is a custom Di Luca Killer Arione saddle on eBay US currently! 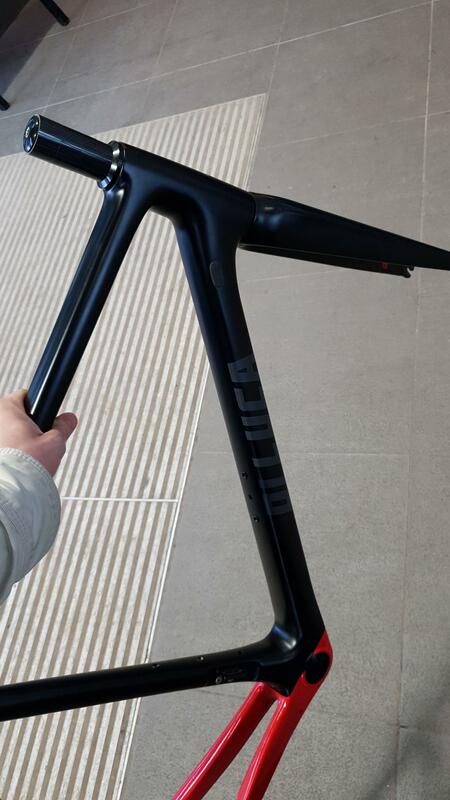 Whats the top length & head tube length on this? Well, that's made up my mind for me then. It's too big. Beautiful frame... glws, you have thread for the ultegra Group set? Just bought a 105 group, so feeling I missed out. Send me the thread to refresh my memory, all I can remember is you jumping in calling me bargain hunter. I think we all know now that if your opinion or perspective is not adhered too, we may incur the verbal abuse , so I'll just agree with you and move on. Would you like to show me examples of that please?